Dermal fillers are known by various brand names depending on the manufacturer. There are a few leading brands which have got the most clinical data supporting their efficacy. They consist of synthesised hyaluronic acid, which is supported in the collagen skin matrix. It is slowly absorbed over time, as the molecules mimic natural compounds found within the collagen in the skin. Collagen gives your skin ‘bounce’ and over time the percentage of collagen in skin reduces, causing it to sag and develop folds and creases. Do nothing differently. Just go about your day to day activities as normal. Your skin will be cleaned at the time of the procedure so try not to use any products or cosmetics. We will determine what requires treating and develop a plan with you. If something cannot be treated, we will try and be as realistic as possible. There are certain types of folds that are too deep for any type of filler treatment. If having lip plumping and defining, you will need to have an anaesthetic block. This will be placed so that the lips are completely numb and so you will not feel any pain when the lip filler is being injected. Lip fillers will be injected into the vermillion border (the edge of the lips where the skin meets the lip itself) and also into the lips themselves in various position so that you have the effect you are happy with. For nasolabial folds and creases (laughter lines) we will put some local anaesthetic cream on the area. This will sufficiently numb the area, so that the injections are not too painful. 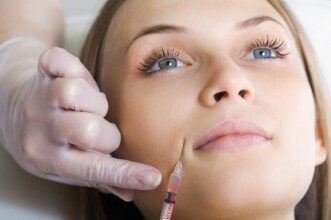 The needles used for dermal fillers are very thin, so this helps reduce pain. The gel-like solution is injected into the skin to add volume and creates a more youthful appearance. Areas commonly injected are nose to mouth lines (naso-labial lines/folds), lines around the mouth (peri-oral/smokers lines), lines between the brows (glabellar) and the lips. All grades of all the ranges usually last 6-12 months. They are all fully biodegradable and will break down gradually over time. As the absorption times differ with individuals, how the area looks and feels is the best indicator that a top-up is needed. There are very few reported side effects with these products, bruising being the most common as with any injections. This is usually minimal and can be covered effectively with make up.